My Band is Going On Tour, Do We Need to Be Insured? Going on tour is one of the most exciting endeavors most bands will ever experience. However, just like all entertainers there is some level of risk that bands most consider. On stage or on the tour bus, there is always a chance that property damage or injury could occur. Having the proper precautions in place to protect against these dangers is key to prevent costly claims and lawsuits. If your band is currently touring or is planning to go on tour in the near future, you will no doubt want to invest in touring insurance. Touring insurance covers a wide range of entertainers, such as musical performers, house bands, and comedians. Eligible entertainers typically include music in all categories, as well as other touring entertainers, such as professional speakers. Depending on your policy, touring insurance may provide a comprehensive list of coverage options designed to cover the risks that bands face on the road. Touring insurance may cover one or more tours or shows during a policy term. Policies often cover events in all 50 states but some limitations may apply depending on your policy. To be eligible for touring insurance, you must meet certain qualifications based on your unique band and wages. Some of the most common eligibility terms include a limitation on how many band members are included in your group, as well as how much money your band makes in annual gross income. While most types of entertainers are covered under touring insurance, certain genres of music may not be covered. 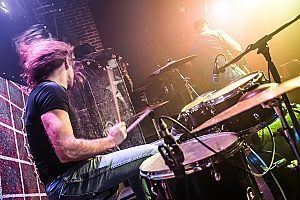 Some insurance companies do not cover genres of music that may pose a higher risk during live performances, such as grunge and punk. Speak with your entertainment insurance broker to see your options. When going on tour your band will face a number of risks. 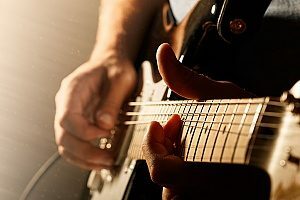 These potential liabilities can result in significant legal fees and lengthy lawsuits if your band is not properly covered. No matter how large your band is, where you travel, or how many shows you perform, it is crucial to prepare for certain risks. One of the biggest liabilities your band faces are on-stage accidents. Not only are band members at risk for injury, but also guests. If you invite an audience member to come on stage and they slip and fall, you are responsible for any medical bills and lost wages incurred. Another potential liability to consider is equipment loss and damage. Bands travel with thousands of dollars in equipment which cannot always be easily replaced. If a piece of equipment becomes damaged during transit or during a performance, you will want to have touring insurance to cover the cost of repair or replacement. You will also want to consider the risk of theft. If an expensive guitar or speaker becomes “lost” while traveling or is misplaced as it sits backstage before a show, having touring insurance can prevent you from having to foot the bill. Accidents can also occur while traveling with your band. Vehicle accidents can not only result in thousands of dollars in property damage, but can also lead to significant injuries. If band members or members of your crew become injured, you may face a possible lawsuit. Medical bills and lost wages can quickly accumulate, even if the person did not suffer a serious injury. With touring insurance, your band is protected against accidents that occur while traveling, including collisions. As not all touring insurance policies are the same, it is important to carefully review your policy to ensure that it includes ample coverage. Between scheduling performances and rushing from venue to venue, it is no surprise that buying insurance often falls to the wayside. Even if you are a new band and this is your first tour, you will want to be protected from unexpected occurrences. Do not make getting touring insurance a last-minute decision. Instead, take your time to find a policy that really meets the needs of your band. There are all types of coverage options that you will want to consider adding to your policy. Defending yourself against a liability claim is far more costly than purchasing touring insurance. While you never expect for something to happen while on tour, an unexpected occurrence can lead to expensive claims and defense costs. For example, if you happen to damage a door when moving your large speakers into a venue you would typically be responsible for any repairs needed. However, liability insurance would pay for any damages incurred. Remember that many venues require that you have liability coverage before you are allowed to perform. You will generally need to purchase insurance at least 30 days prior to the scheduled show. When shopping for touring insurance, you will want to consider how long your coverage lasts. The “term” of your insurance policy refers to how long it lasts. There are no specific term lengths as each policy can be customized for each band. For example, if you were planning to play just one show at a local venue, you would only need to purchase a single-event policy. 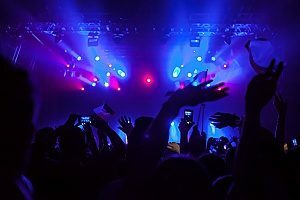 However, if you are touring and plan to perform shows at several different locations over the course of several weeks or months, you will want to consider an annual policy that covers all performances over the course of a year. Going on tour requires a great deal of planning and organizing. One such task that you will need to complete before your tour date is the purchasing of touring insurance. The right liability coverage for your band will allow you to better focus on your practices and performances rather than the risks that you face while traveling. As there are various levels of coverage available to entertainers, you will want to compare your options. To learn more about acquiring touring insurance for your band, contact a professional entertainment insurance agency today. Previous Post: « How Can My Production Company Avoid On-Set Injury Liability?